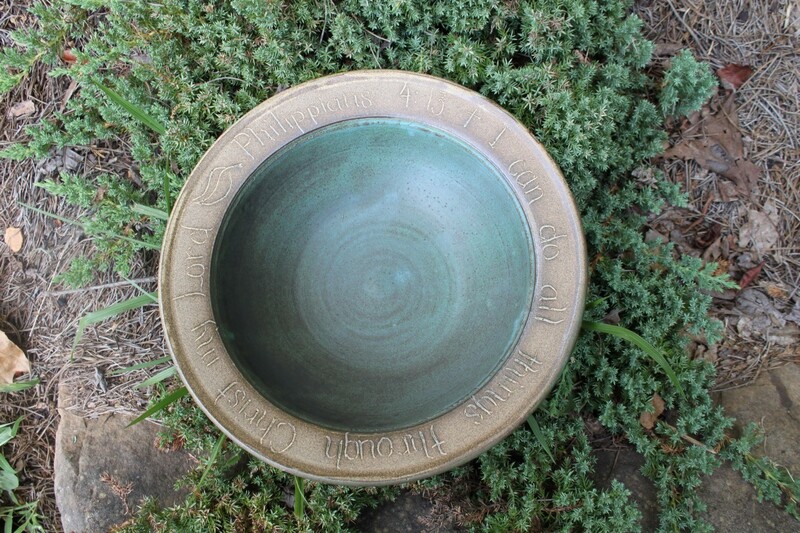 Our hand turned stoneware Scripture Bowl has a high fire glaze that will last for generations. It can be used for serving or for ceremonial purposes. Each one has a bible verse carved alone the rim. The Scripture bowl measures approximately 12 inches across and stands 4 inches tall. Measurements are approximate because hand made pieces vary slightly.